Decorating your home with lights takes the major part of the Christmas festival time. With plenty of designs and varieties of decorative lights available, it becomes very confusing to choose the best as each of them has its own advantages and disadvantages. From traditional C7 and C9, incandescent to modern LED lights and solar lights, one faces a huge collection to pick from depending upon his taste and preference. 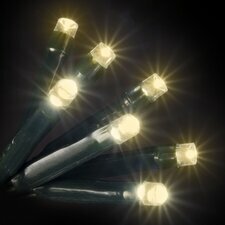 LED lights have gained immense popularity from the start of 21st century since they produce efficient lighting. They are eye-catching as they produce the boldest lighting displays and are energy efficient too. 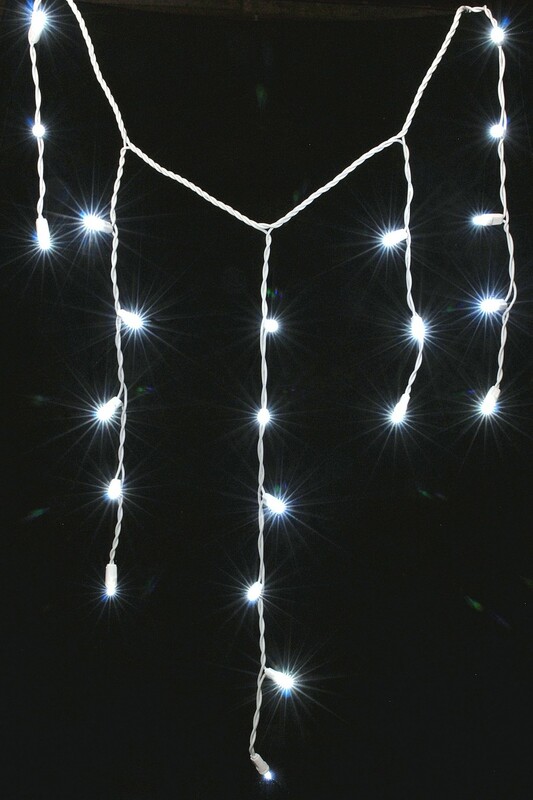 Despite available in plenty of brilliant colors and varying lengths; white led Christmas lights are amongst the most sought after. Don’t be surprised to find that there are three variations of white LED’s available-pure white, warm white and cool white to give you enough freedom and flexibility to choose. 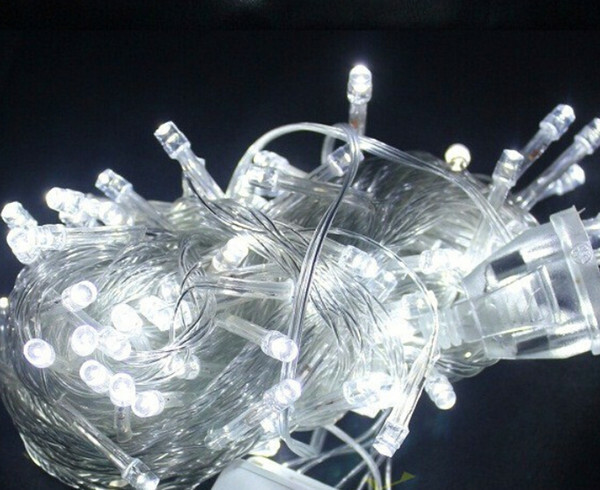 Warm White LED Christmas lights are the most favorite of all because it closely resembles traditional incandescent mini lights. Warm white has a classy mix and feel of white and yellow that exhibits a warmer expression of the Christmas festival that is so welcoming and pleasing when used for outside decoration as a lining on roofline, windows, drive, sidewalks, patios gardens and even yard. Even when used inside on Christmas tree, wreath, window seat or bay window, it blends easily with any wall color and home décor. Sheer curtains with warm white led Christmas lights make a spectacular appearance. Due to non-standardization and inconsistency of warm white color in manufacturers, one many find variation in amount of yellow mixed with white. 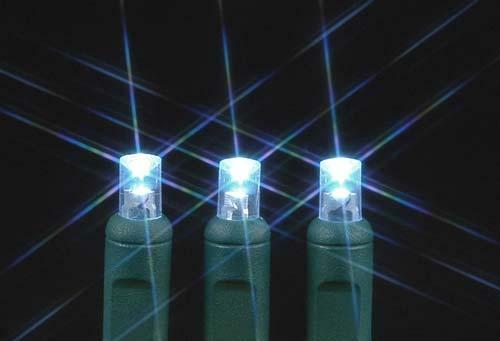 Cool white LED lights have a tint of blue shade in them varying from very little to considerable amount of blue and it differs from one producer to other. Pure white LED lights, as the name suggests are completely white and no other color is incorporated in it for modification. Depending on personal taste, some term it too harsh while some adore it. Demand for pure white light has increased in the last few years and since there is not much variation in the white shade and are easily available. When it comes to shopping for Christmas lights, one may not find these 3 variations as labeled on the brands in the market. They are available as soft white, antique white, classic white and off white in the market and in-fact they are simply the variations of warm white color only. Buyers have the option to either buy them online or go to retail shops. In order to get the best deals, one should look for discounts and offers on specialty stores with free shipments to your place. Go only for the best quality product as substandard lights may cost you cheap, however will not last long. And in case you want to buy white led Christmas lights to supplement the batch of light bought last year, make sure you first ask for a sample to make a match or better purchase from the same manufacturer.